The traditional garter toss takes place during the wedding reception, usually right after the bride's bouquet toss. The groom removes the garter with his hands or maybe teeth from the bride's leg, while the guests are watching and cheering him. Than he tosses the garter to all unmarried bachelors at the wedding, who line up behind him. The one who catches the garter is said to be the next man to be married. 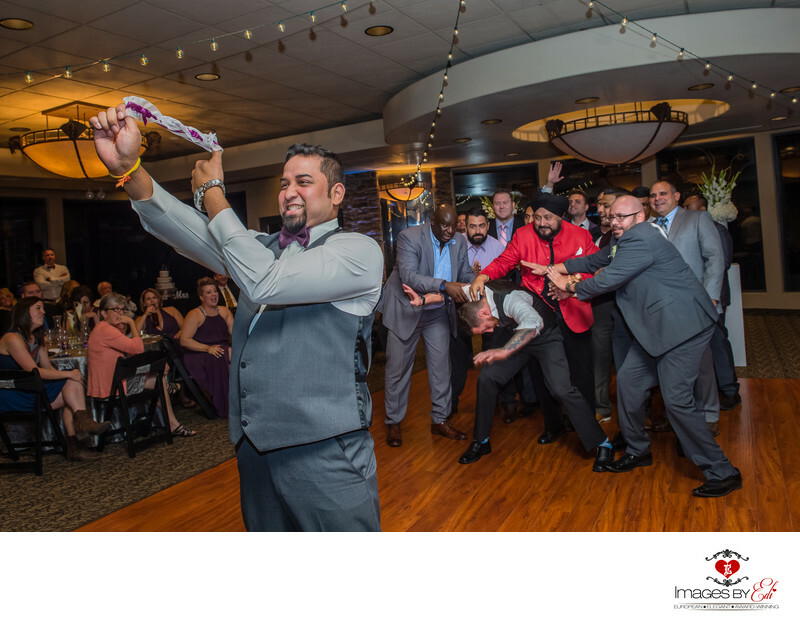 Usually the garter toss is not that popular between the guys like the bouquet toss between the ladies, but in this Indian - multicultural wedding, the guys were eager to catch the garter providing a great photo opportunity. Location: 5500 E Flamingo Rd, Las Vegas, NV 89122.